Intuitive and intelligent search is an indispensable part of an optimized sales funnel, having a powerful site search is a must today. Magento 2 Search Suite helps you to integrate your store with one of the most popular and powerful search engines. Sphinx provides high indexing performance, top search quality, and simple integration. This search engine can easily search both simple files and data stored in an SQL database/NoSQL storage. On top of this, it offers some text processing features and supports customization. Search Suite supports both Community and Enterprise edition of Magento starting from version 2.2. The current version of Magento installed on your website can be found in the lower right corner of any backend page. Search Suite extension has 2 separate ways of installation: via Composer or by copying the code. Create a folder anywhere on your server (preferably not in the Magento installation directory). Put the zip archive into this folder. Use any SSH client to connect to your server. Navigate to the root Magento folder. Bear in mind that the user should write permissions to this folder and its subfolders. Download the extension's package from your customer account, unzip it. Use any SSH client to connect to your server. Bear in mind that the user should write permissions to this folder and its subfolders. Upload all the files and folders from the extension's package to the root Magento folder. 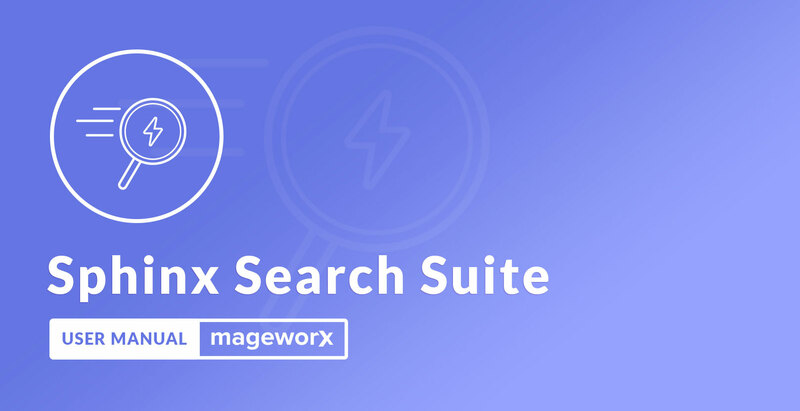 Log into the Magento Admin panel and go to STORES ⟶ Configuration ⟶ MAGEWORX ⟶ SearchSuite. Search Delay sets a delay period (in milliseconds) between the user presses any key and a search starts showing. 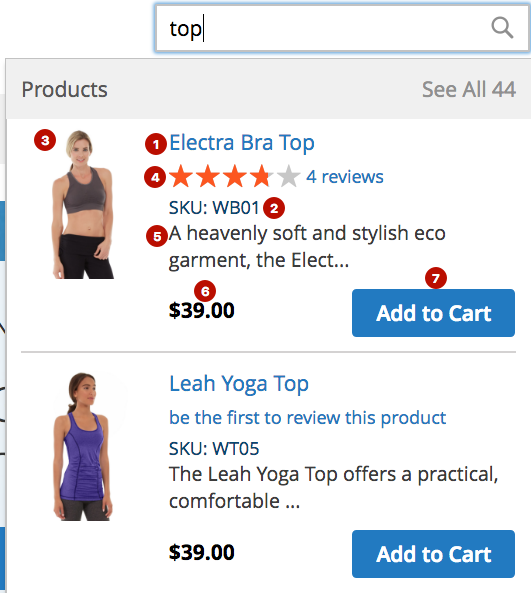 The store owner can specify the desired Number of Suggested and Product Search. 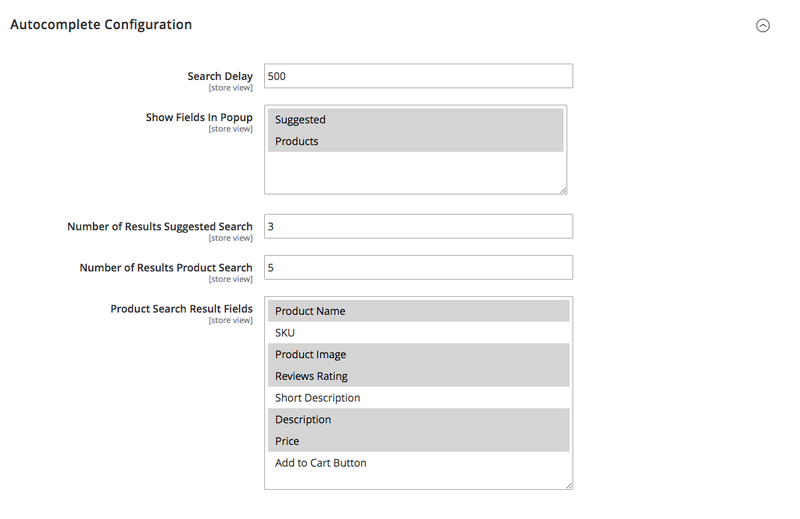 The Product Search Result Fields allow to fine-tune the desired design for the Product Card shown in the Search Popup. 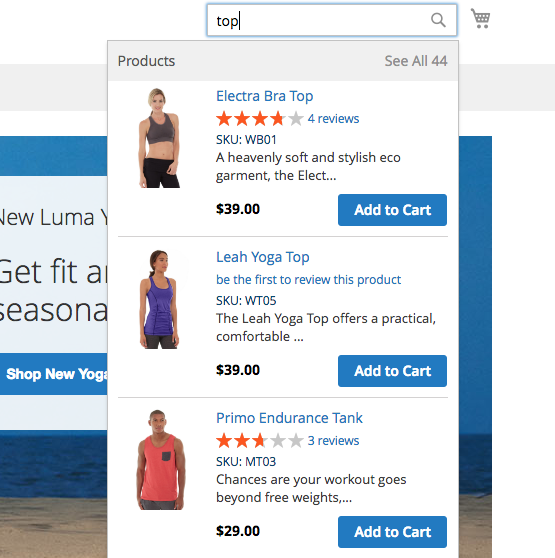 The store owner can show or hide any of these elements: the Product Name (1); the SKU (2); the Product image (3); the Reviews Rating (4); the Description (5); the Product Price (6) and the Add to Cart Button (7). The Shynx Host is the host address where the Sphinx Search Engine is installed. In case this engine is installed on the same host where the Magento 2 is runing, use 127.0.0.1. 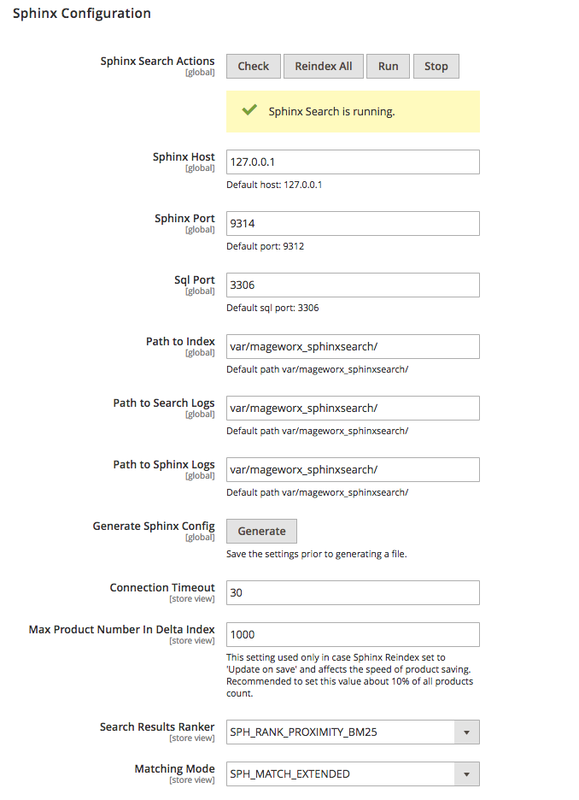 The default Sphinx Port is 9312. Use this or the custom one that you are using. The default SQL Port is 3306. Use this or the custom one that you are using. 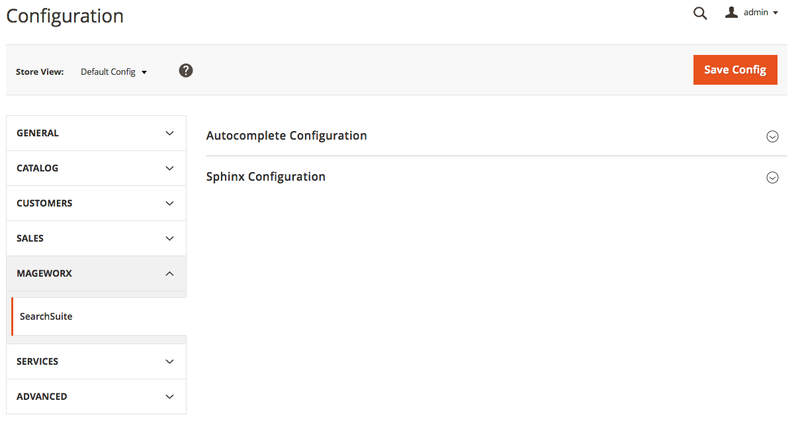 If you wish, you can change the default location of the Search Index, Path to Search Logs and Path to Sphinx Logs. When done, save the settings and only after that hit the Generate Config button. When the config is generated, click the Run button. If needed, the Sphinx Search can be manually Stopped. To validate the generated file, click the Check button. The Max Product Number in Delta Index provides the max number of the products that has been edited before the reindexation. Once the store owners observe this message on the Products grid, they should click the Reindex All button in the extension's configuration. Additionally, under these settings you can set up Sphnx search results ranker and select a search Matching Type. MageWorx offers outstanding services developing custom-tailored solutions for Magento platform to attain your eCommerce objectives. Our professional impassioned team provides profound and custom oriented development of your project in a short timeframe.